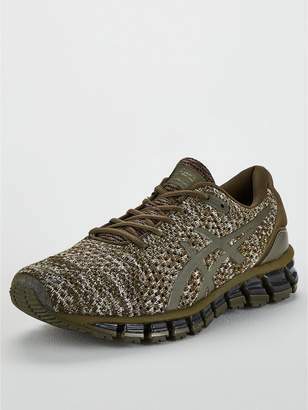 Asics Gel-Quantum 360 Knit MensTrainers Run hard, but land soft with the Asics Gel-Quantum Knit 360 trainers. With 360Â° Gel cushioning technology, youâ€™ll get the ultimate in protection and comfort. A lightweight and seamless knit construction reduces irritation and friction, with an OrthoLite sockliner ensuring your shoes are fresher for longer.